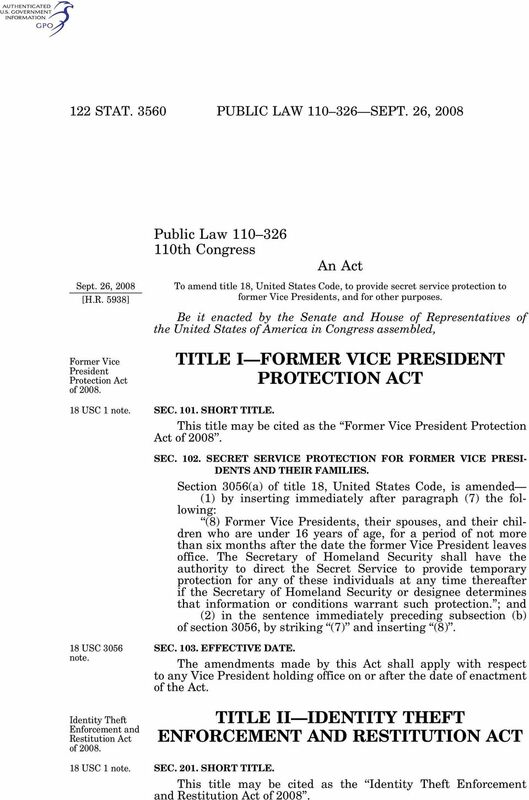 Download "TITLE I FORMER VICE PRESIDENT PROTECTION ACT"
18 USC 1030. 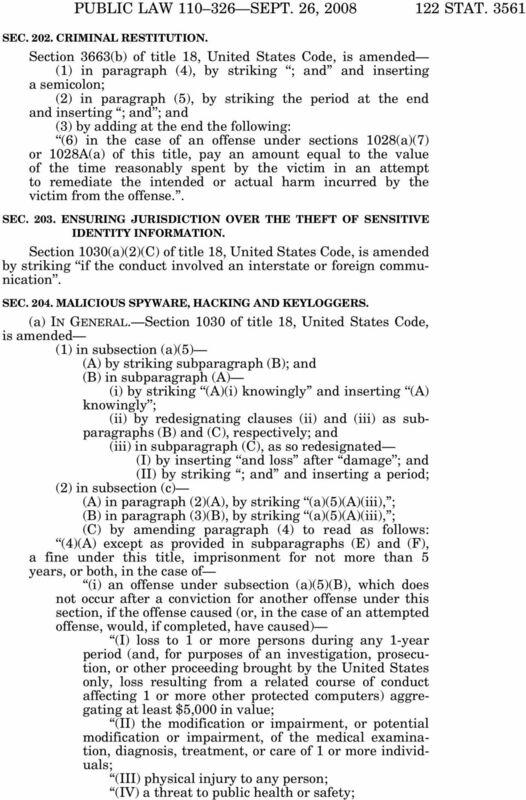 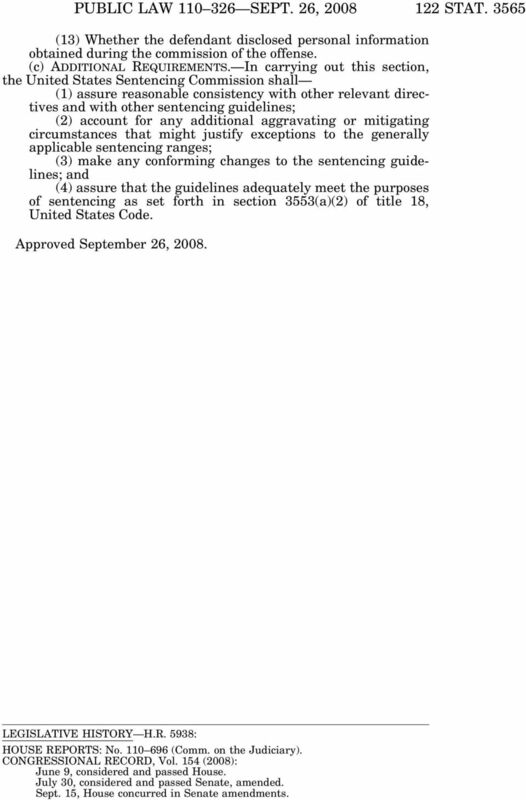 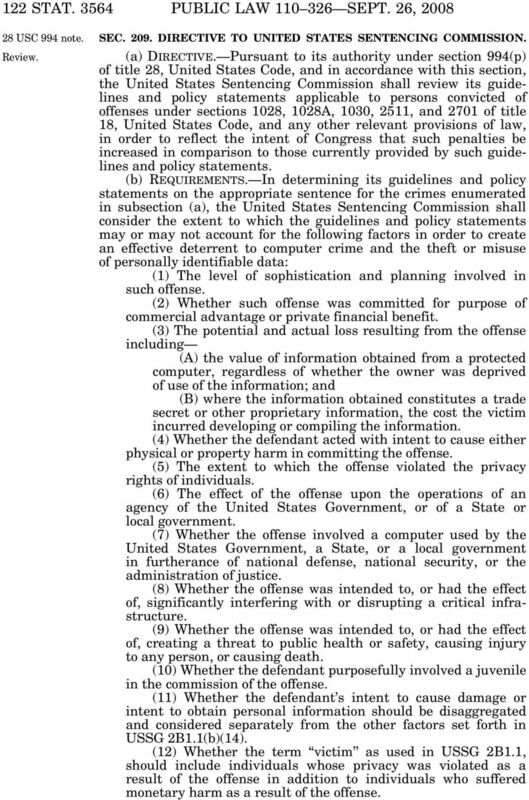 NB: This unofficial compilation of the U.S. Code is current as of Jan. 4, 2012 (see http://www.law.cornell.edu/uscode/uscprint.html). 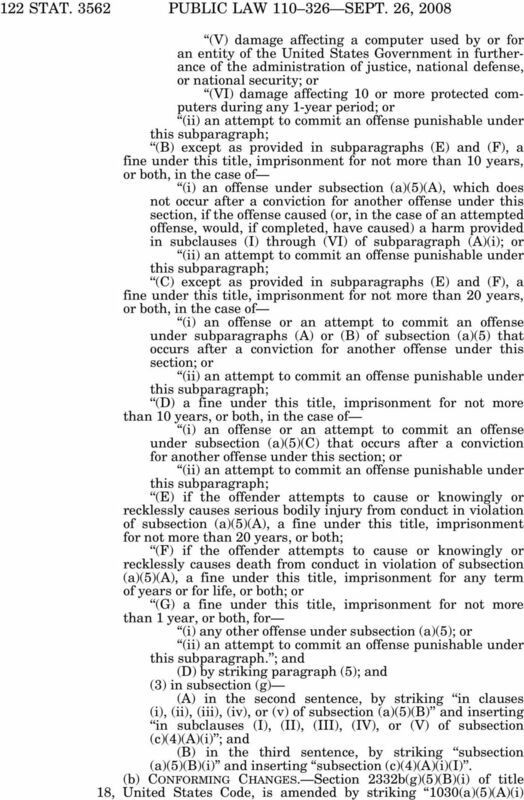 117 STAT. 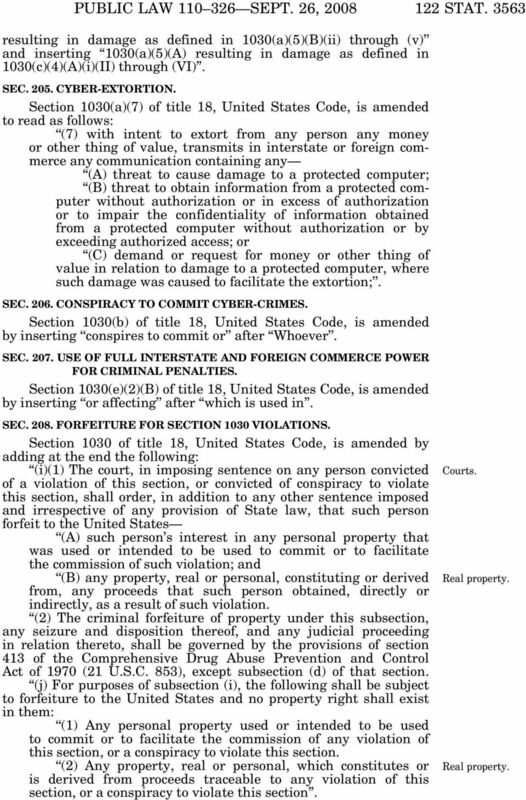 2699 Public Law 108 187 108th Congress An Act To regulate interstate commerce by imposing limitations and penalties on the transmission of unsolicited commercial electronic mail via the Internet.